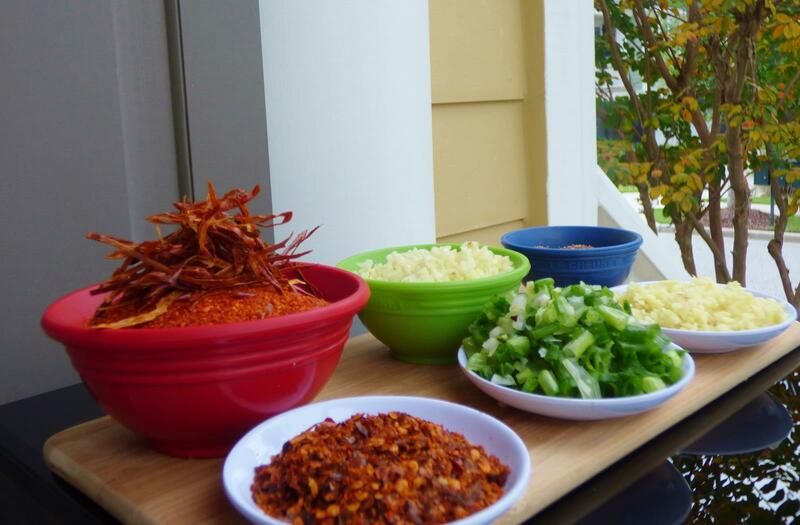 My recipe for homemade Szechuan Chili paste is far better than anything you will find in the Asian market! 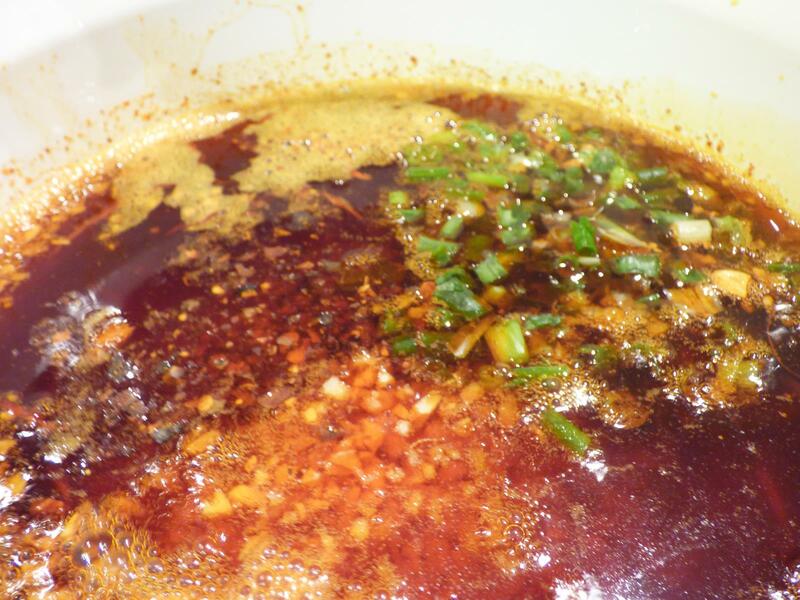 This Sichuan chili oil recipe is a staple in my home. We use it on everything from pizza, to eggs, to the obvious Asian stir fries and soups. If you have been a fan of the Siracha craze consider this an upgrade. But it is considerably hotter and more complex than the sriracha. My advice for the first time user is to start with a small amount or alter the chili level in your recipe mix. 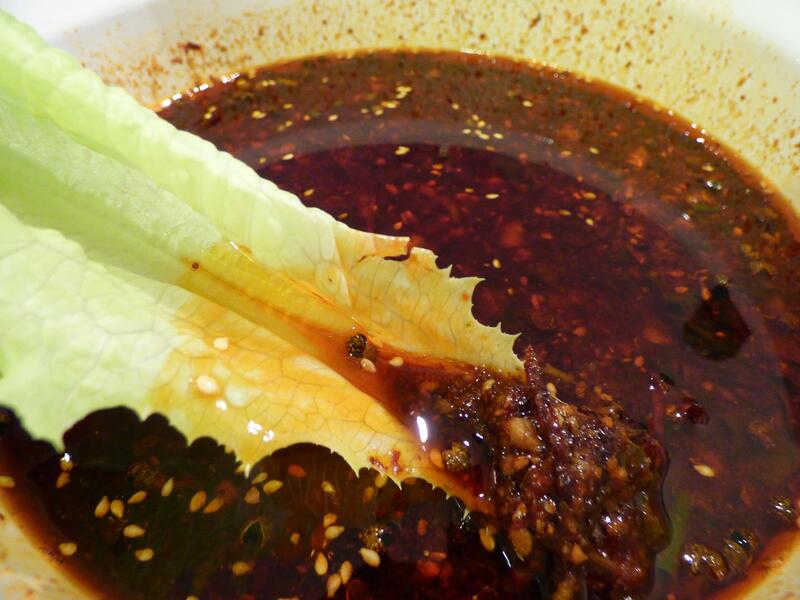 This Sichuan chili oil recipe is authentic and direct from the Sichuan region of China. They are known for their fiery flavors. A colder part of China, they are also home to such famous recipes as Chinese Hot Pot, Kung Po Chicken, and Ma Po Tofu. 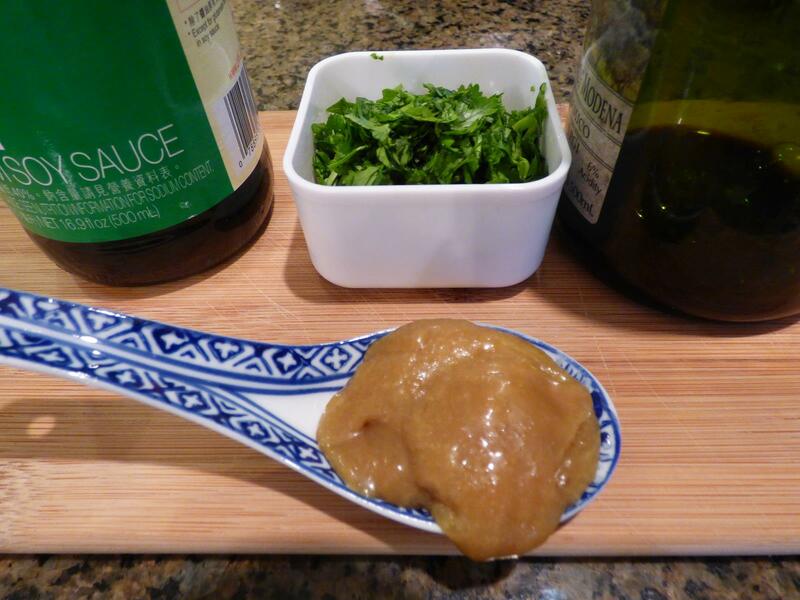 This oil will make all these dishes considerably more authentic in flavor. It also gives a unique experience of your mouth tingling and numbing from the Sichuan peppercorns. It has no substitute and must be fresh to do its work! 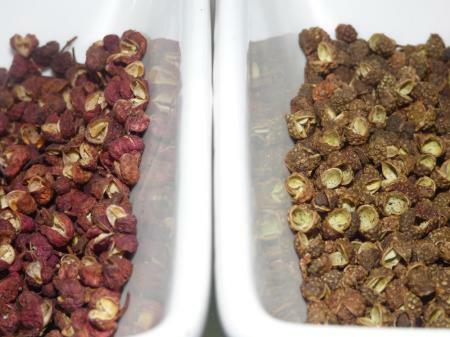 You will see Sichuan peppercorns both red and natural colored. Freshness is what matters! 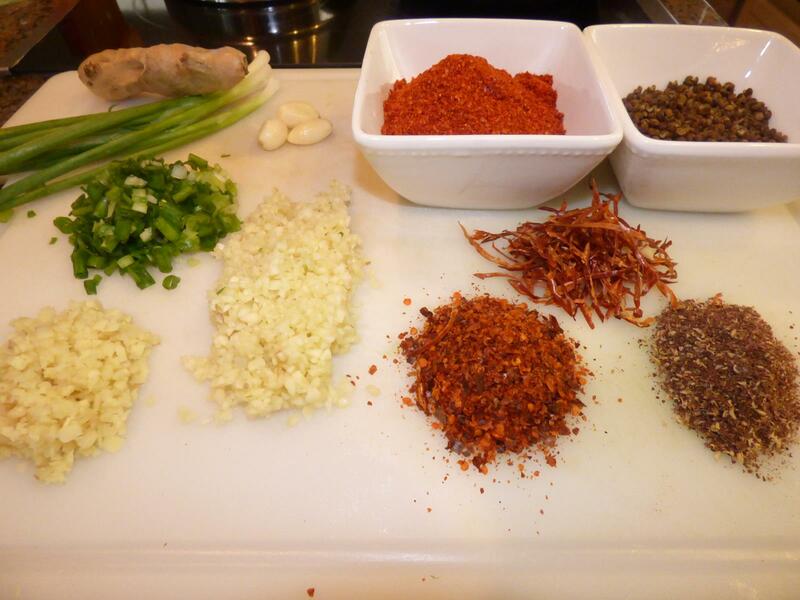 My recipe comes directly from a native Sichuan friend who came to America to visit. She made this with me in my own kitchen. As neither of us spoke much of the others language, it was very much a “show not tell” recipe exchange. I find that cooking together often transcends language. Cooking together can transcend language barriers. You can create something together by showing how finely you need something minced and then handing over the knife. Then at the end you can sit together smiling and slurping to enjoy the result. I also had the pleasure of learning to make authentic dumplings for Chinese New Year this way. Such great memories. I offered up southern Chicken and Dumplings in return. (A huge hit by the way). Culture exchange at its finest! 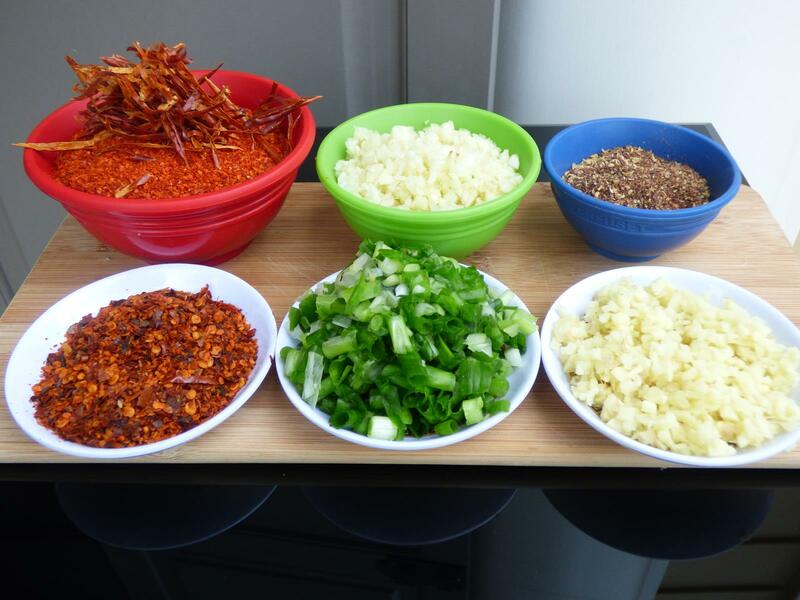 Chili Oil Ingredients include ( in Order) finely ground chili peppers, chili pepper shreds, minced ginger, ground Sichuan pepperflower, chopped scallion, and minced garlic. Sichuan So in honor of my visually obtained recipe- I give you a visual recipe to follow. Feel free to alter the level of ingredients to your personal taste. More sesame seeds perhaps with less chilis. Or less ginger and more garlic. Its a recipe that is as varied as the cook who makes it. You can alter how much of each ingredient you use based on how much finished oil you want. It keeps very well both in or out of the refrigerator. 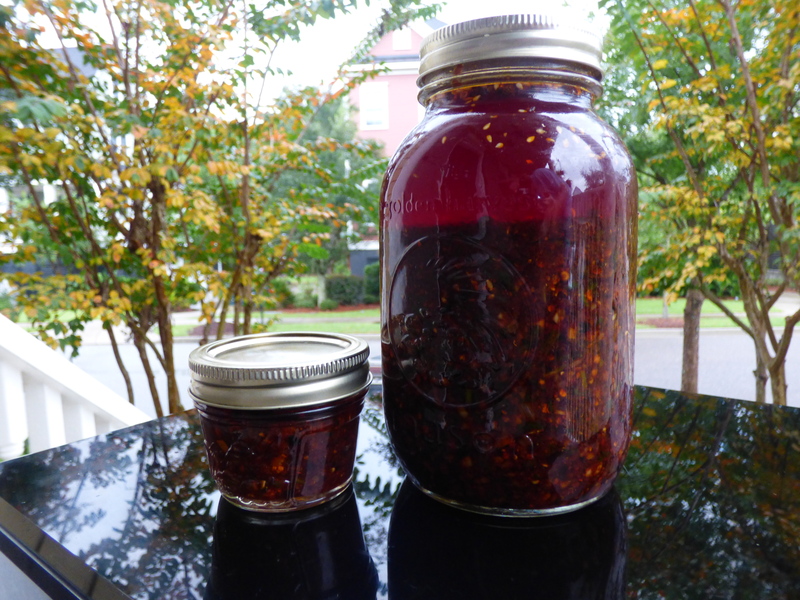 I make a lot so this recipe will show you how to make a large jar. I begin by chopping and prepping all my ingredients. Then I heat my oil to allow a bit of “cooking” when I add in my first set of ingredients. You may do this either in microwave or stovetop. You don’t want to burn the ingredients but just hot enough that you can hear a little sizzle as you add them to the bowl. Here’s what my chopping board looked like as I readied the first round of ingredients. I use a coffee grinder to grind up my Sichuan peppercorns. Then I put them through a wire sieve to prevent adding hulls and pebbles. My Chinese friend simply did a rough chop and just added them in. I found this a bit much in flavor and texture.and occasional bit down on a pebble. The choice is yours. Heat one bottle of canola or grapeseed oil to low simmer then add all these ingredients. Stir to mix and “cook”. Ingredients sizzle as they are added to heated oil. Now add next set of ingredients. These do not require heat as much. !/3 cup dark soy sauce, 1/4 chicken broth concentrate ( wet or dry and can sub vegetable), 1/3 cup chopped cilantro, 1/4 c black Chinese or balsamic vinegar. Balsamic vinegar makes an acceptable substitute if you don’t have Chinese black vinegar. Taste and adjust as desired. Sesame seeds are sometimes added and are beneficial if you need a little less heat. Salt can also be added – depends on bouillon sodium and soy if it needs it. I have developed a tolerance for the stuff and try mine on a lettuce leaf or cucumber. You may want to try on noodles or in broth to dilute! You may want to have a beer or glass of milk at the stand by.You have been warned. It is super spicy but in the best possible and most complex way. And you might just find it addictive. I do! First taste-warning this is Chinese spicy not American spicy! 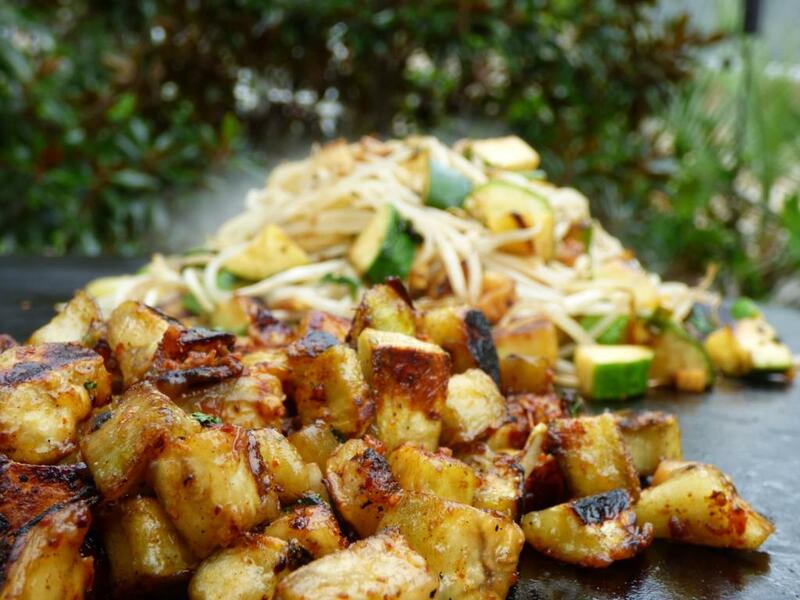 Spicy Eggplant seared on the EVo grill- change your mind good! on the Evo grill. But I also like it on other things. Much like how Sriracha has crept outside its Asian origins. 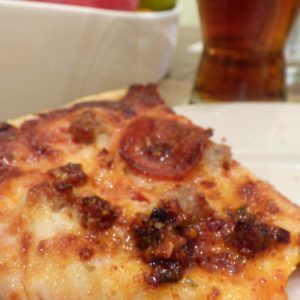 You will find me putting a little on everything from eggs to pizza to grits or that other southern classic – pimento cheese. Whenever I’m craving a spicy hit I turn to it. And it never disappoints. Enjoy and let me know if you find any new ways to use it. I love hearing back from you. 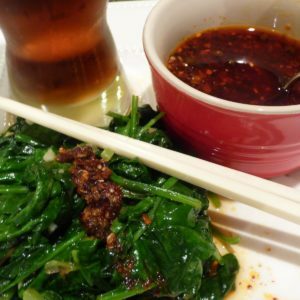 Garlic spinach hits a new level of cravable with the addition of sichuan chili oil! Take out pizza takes on flavor partner . 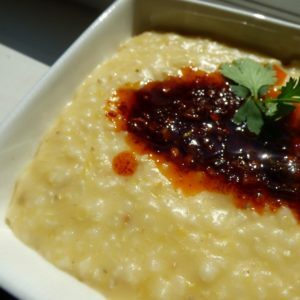 Chili oil on cheese grits- not for the faint hearted. This looks awesome! Love the “show not tell”! How long does the oil stay fresh? Any secrets to mincing that much garlic and ginger? Thanks for the compliment and question! I know it is a lot of chopping and mincing. I own a mezza luna blade and board- have you seen these? They make chopping all that garlic and ginger go faster. I also use it for the cilantro. Here’s a link on where to buy one if you are interested in getting one. http://www.chefsresource.com/mezzaluna.html?gclid=CJ6u_OXPscICFS0Q7Aod5zcA9A I also go ahead and buy the prepeeled garlic that is available locally at both the whole foods in prepped veggie area or Harris Teeter. Asian Markets usually carry jars as well. As far as how long it lasts- well, we go though it at a pretty good rate so it’s never really been tested long term here at my house. But in general I make it every 60 days or so with no discernible loss of quality in that time. 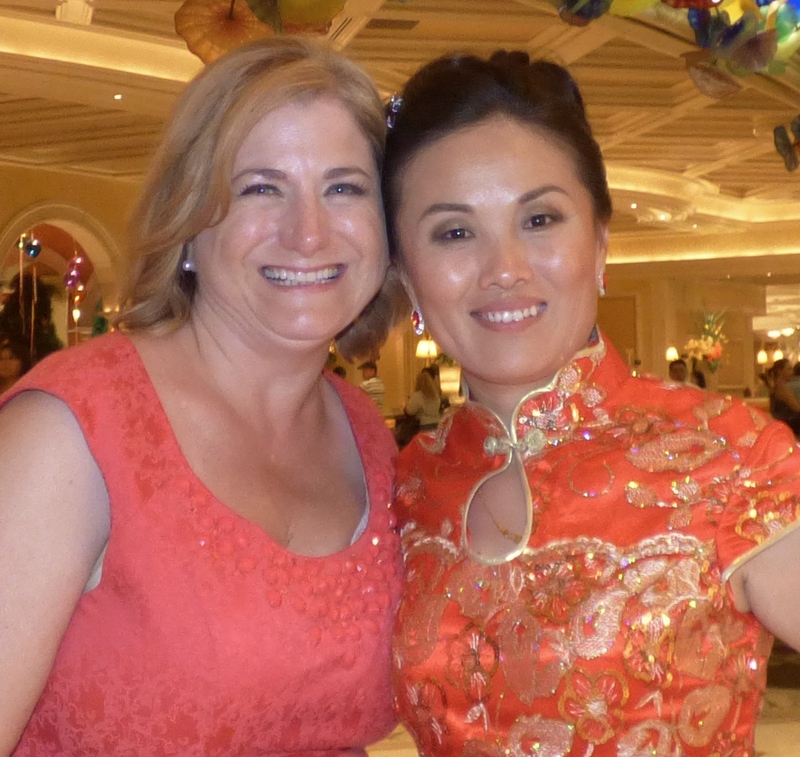 My Chinese friend say it never goes bad- but did I mention the language barrier? 😉 So something between 60 days and never. Hope that helps!